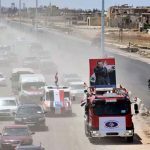 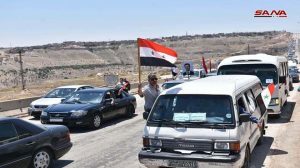 Homs, SANA- Homs-Hama International Highway was re-opened after about seven years of closure due to attacks of terrorist organizations which were positioned in Homs northern and Hama southern countryside. 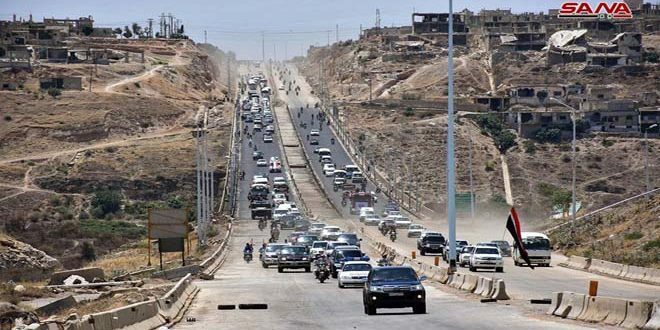 SANA reporter in Homs said that the maintenance teams ended the restoration works and repaired the damage caused to the international highway linking Homs and Hama provinces, re-opening the 47 km long highway after seven years of closure. 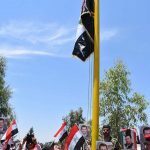 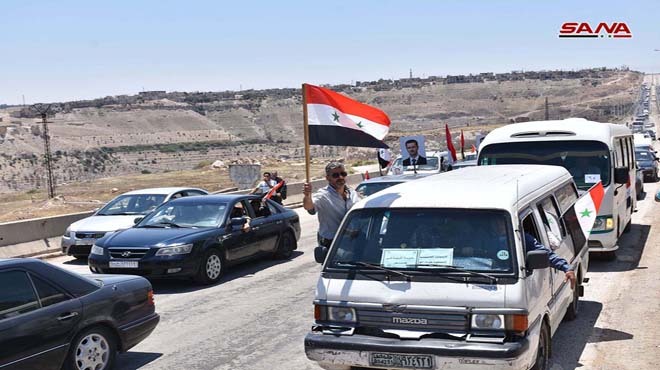 A number of the locals in Homs northern countryside expressed satisfaction over the re-opening of the highway, considering that it will bolster stability and revitalize economic and service movement in the villages and the towns of the area. 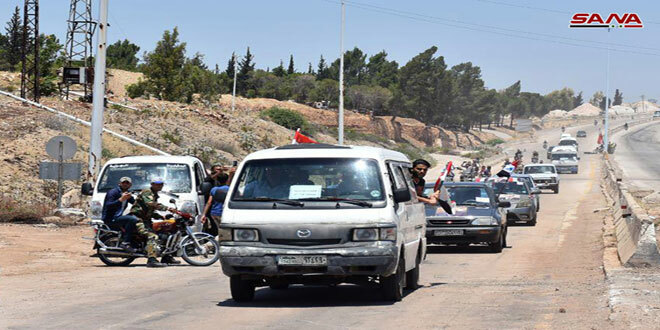 Speaking to SANA, Transport Minister Ali Hammoud said that re-opening Homs-Hama international highway will link Homs, Hama northern and eastern areas and the central, southern and coastal areas, and will save efforts and funds especially in transporting passengers and goods. 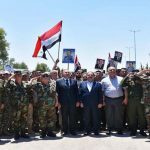 The minister praised the sacrifices of the Syrian Arab Army personnel who restored security to the area, hailing the workers’ double efforts exerted to repair the highway as soon as possible. 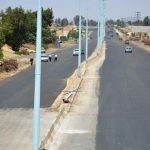 Head of the Road Transportation in Homs, Mahmoud al-Ali said that the partial rehabilitation cost reached SYP 555 million, indicating that the remaining restoration works will be completed immediately with a total cost estimated at SYP 2 billion. 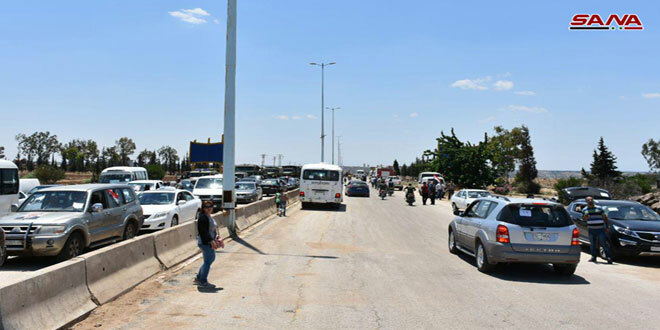 Homs-Hama International Highway is a vital and strategic road. Re-opening it will activate transport movement between Syria’s northern, central and southern regions which will affect positively the commercial, economic and transportation movement, not to mention increasing the services provided to the villages, towns and the cities adjacent to the highway.